Recently, the Kick Off Meeting for China’s “Auto Parts Industry Chain Standardized Service System Construction Pilot Project” was successfully held in Ningbo, Zhejiang Province. It aims to foster the coding and unique ID coding of auto parts and promote the construction of important product traceability system. 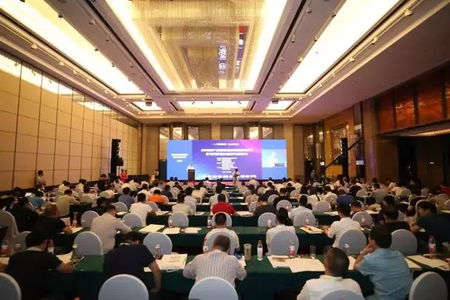 More than 200 participants from the Department of Service Industry Standards, Standardization Administration of the People’s Republic of China (SAC), and various pilot enterprises and system integrators in auto parts industry attended the meeting. Newland Auto-ID, as one of the OEM Scan Engine industry leaders in China, appears at this meeting with a number of new products and solutions for auto parts industry applications. Newland highlighted the far-reaching significance of the auto parts traceability management to the participants, by the title “How will NEWLAND optimize your intelligent plant”. All links in the auto parts industry chain are put in centralized management for code identification, information acquisition and transmission by using the professional data acquisition device based on the unique “Direct Part Mark (DPM)”, upon which, data from the design, production, logistics to regulatory service links can be integrated to realize the intelligent and refined management of the data-driven manufacturing process. 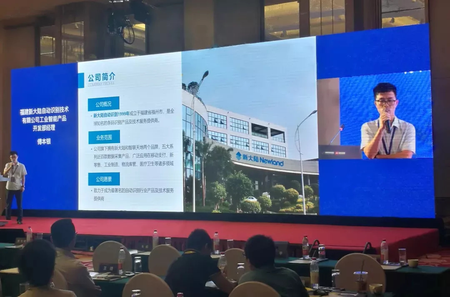 Finally, Newland gained a warm discussion and extensive attention from the participants by sharing the classic application cases of Barcode Scan Engine in the automobile industry. It is reported that the implementation of this pilot project will play the important role of the construction of standardized service system, and build up an auto parts coding and quality traceability service platform to realize the traceability of auto parts throughout the whole life cycle, promote the coordinated development of the upstream and downstream of the supply chain, integrate and share resources, and improve quality and efficiency of the development of the auto parts industry chain.